13 Open Grade pipers are confirmed for the 2018 PM Ian Swinton Open Piping competition, to be held on April 21 in northern Chicago suburb of Park Ridge, IL. 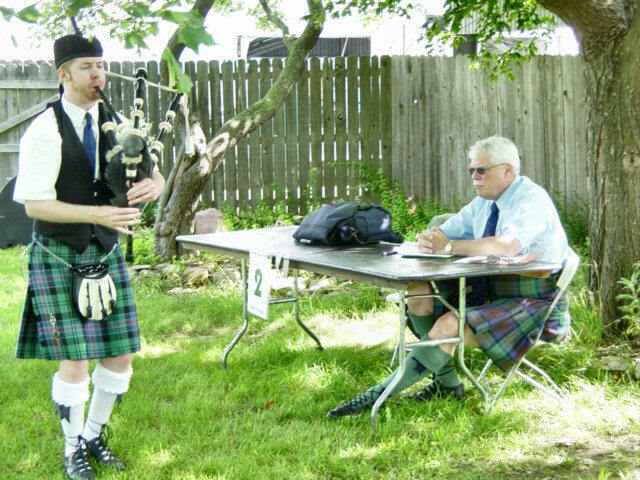 Each piper submits 4 piobaireachd and 4 MSRs and plays one of each as selected by the judges. The aggregate results determines the winner. The 2018 Terry McHugh Regional Amateur Solos Finals will be held in the same location, that morning. The amateur contest will start at 10am and awards will be presented around 1pm. The location is Park Ridge Community Church, 100 Courtland Ave, Park Ridge, IL 60068. Doors open at 8:30am, and admission is free. Should be a great day and early evening of piping. We hope to see a nice crowd this year. Good luck to all of the players! Monmouth College provides incoming students one of the most competitive scholarship opportunities for pipers and Highland drummers. Our Pipe Band consists of 16 students, a number of whom compete in major competitions. Scholarship auditions must be completed prior to enrollment at Monmouth. If you’re an incoming student with experience participating or competing with a pipe band and would like to continue this passion while enrolled at Monmouth, we invite you to meet with members of our band during your visit to campus. More information can be found on our scholarship website and on the Monmouth College Pipe Band page. The individuals who played in the regional qualifiers and are eligible to play in the finals will be contacted by our president, Jim Sim, to inquire if they plan to play at the event. That same day will be the P.M. Ian Swinton Professional Contest; the judges this year are Jack Lee from Vancouver, and Jim Stack from New Jersey. This contest is still open for entries for another month; the deadline is April 8, 2018. Orders of play for these events will be published in early April. We hope to see many of you on April 21st in Park Ridge, IL for the MWPBA Day of Piping. It should be a great day. The 2018 Louisville Regional Piping Solos have been completed, and the results are posted. Thank you to everyone whom attended and made the event a success!